Two MALM 6-drawer chests included in the repair program. When kids are around furniture, there’s no guarantee that they’ll treat chairs, tables and dressers as such, and instead, might see them as fun things to climb. But scaling furniture that isn’t meant to be scaled could cause it to tip over and crush a young person — especially if it isn’t anchored to the wall. That danger is leading IKEA to offer a free wall anchoring kit for a total of about 27 million chests and dressers, after two deaths were reported from furniture that fell and crushed children underneath. 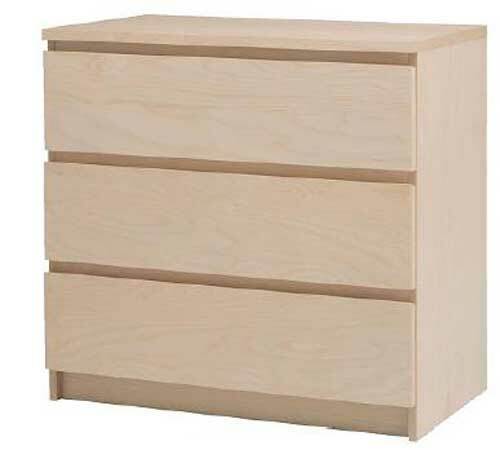 IKEA North America has announced a repair program in conjunction with the U.S. Consumer Product Safety Commission that includes a free wall anchoring kit for their MALM 3- and 4-drawer chests and two styles of MALM 6-drawer chests, as well as other chests and dressers. These pieces of furniture might tip over, a hazard for any small people around, if they’re not securely anchored to the wall. A MALM 3-drawer chest that must be anchored. IKEA is advising consumers to immediately stop using all IKEA children’s chests and dressers taller than 23.5 inches and adult chests and dressers taller than 29.4 inches, unless they are securely anchored to the wall. All told, about seven million MALM chests and 20 million other IKEA chests and dressers are part of the nationwide repair program. The company received two reports of children who died after MALM chests tipped over and crushed them. One incident included a two-year-old boy who died in February 2014 after a MALM 6-drawer chest tipped over and pinned him against his bed, killing him. In June 2014, a 23-month old boy died after he was trapped beneath a 3-drawer MALM chest that had tipped over. In both cases, the chests were not anchored to the wall. IKEA and CPSC have received 14 reports of tip-over incidents involving the MALM chests, including four injuries. 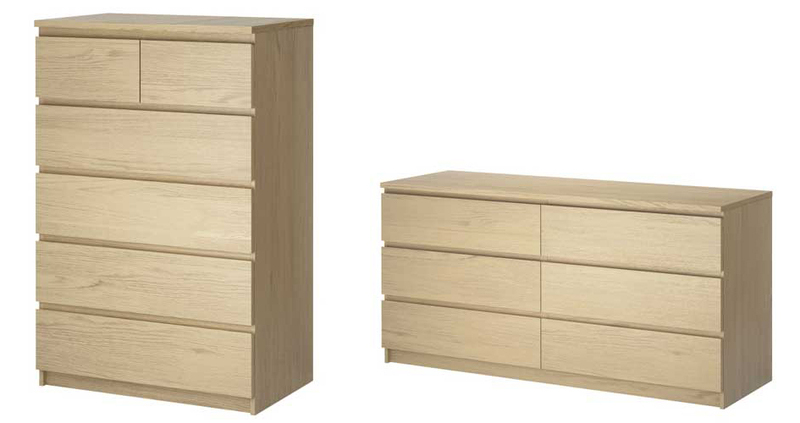 IKEA and CPSC urge consumers to inspect their IKEA chests and dressers to make sure they’re securely anchored to the wall, or move any unanchored furniture into storage or other places where children can’t get at them, until they can be properly anchored. The free kits include tip-over restraints, as well as complete wall anchoring hardware, instructions and warning labels to be affixed to the furniture. To receive a free kit, either go to IKEA, visit www.IKEA-USA.com/saferhomestogether, or call (888) 966-4532. Tip-over incidents are a serious hazard for children, as CPSC data says a child dies every two weeks and a child is injured every 24 minutes in the U.S. from furniture or TVs falling over.